Old-fashioned networking is still the most effective way for writers to get a foot in the door of the competitive world of publishing, according to book editor and U.C. Extension instructor Laurie Gibson. Even in this high-tech world we live in where interfacing might seem more the norm than interacting, it is the face-to-face contact that can make the difference between getting a generic form-letter response from a publishing house and getting an agent with experience and access to all but guarantee a successful submission, if not publication. Word-of-mouth recommendations, attendance at writing events, and taking writing classes are some of the best ways to get your name, face, and manuscript out there, according to Gibson. 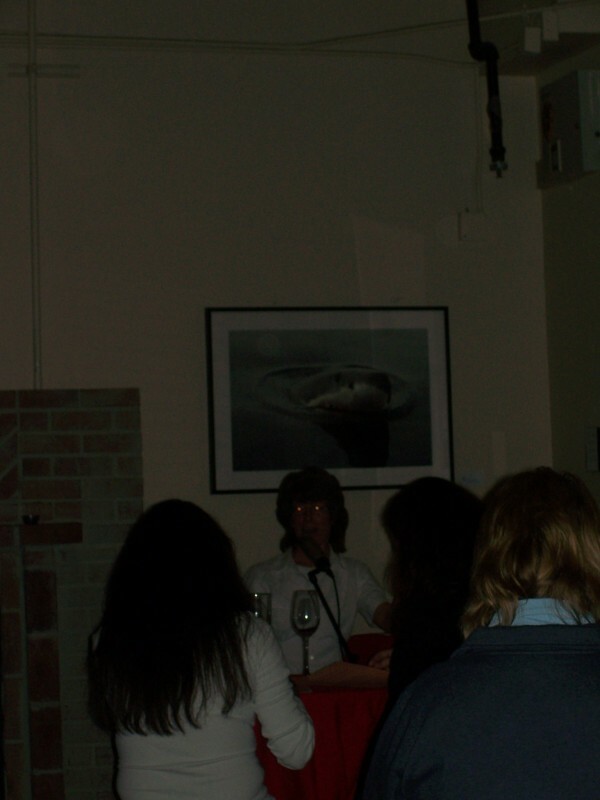 At the January 19, 2009 installment of the Pizza and Prose Art & Literature series, Gibson addressed an audience of local writers who were apparently as hungry for her knowledge as they were for the pizza. Many arrived early and filled Cava Wine Bar in Capitola with notebooks ready to record her words of wisdom. She did not disappoint. Answering questions with confidence and ease, Gibson shared her years of experience as an editor, proofreader, and teacher. Aside from manuscript fundamentals such as double spacing and using Times New Roman, 12-point type, Gibson gave the audience an insider’s view of what agents and publishers are looking for and how to make the most out of any interaction. Even the impromptu ones can lead to a good contact if a writer is prepared. This includes having professional business cards at the ready. Gibson demonstrated how attending conferences can be a way of getting constructive, albeit brief, one-to-one time with agents. Getting a list of who will be on which panel ahead of time and using that information to plan which discussions and lectures to go to can help make the most out of what is generally a one to three day event. A little research, using Google or some other search engine, can help determine which speakers might be best suited to a particular genre, among other factors a writer might want to take into consideration. 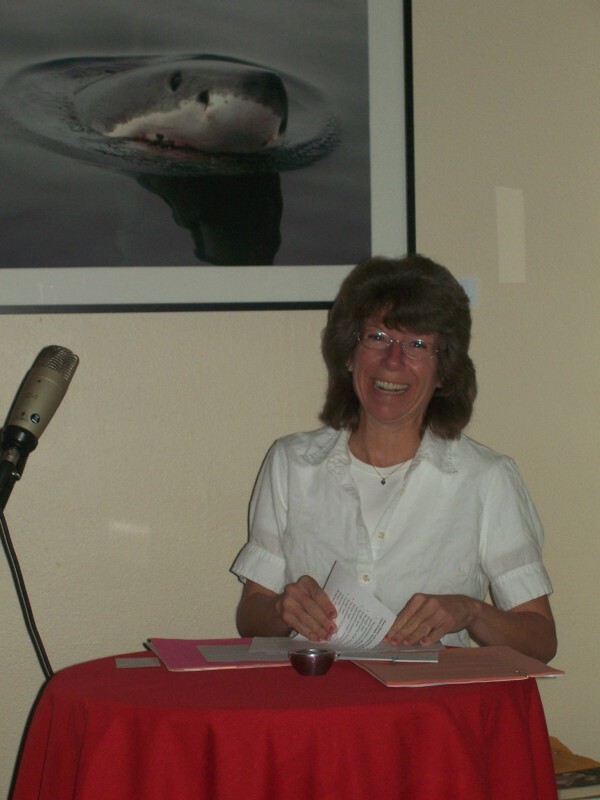 Writers can often approach speakers after panels or sign up for 15 minute individual meetings with an agent or publishing representative who can give a critique and possibly provide other pertinent information. There is generally a fee for this opportunity. Money very well spent. Chance encounters can be enhanced if a writer attended an event with the agent or rep and is able to say, “Hey, I heard you talk,” Gibson said. “Ask if they have a minute,” and “keep it to one minute,” she strongly advised the rapt crowd. Touching on the more human side of the business of conferences, Gibson explained how “everybody there is stressed out.” Editors, agents, writers, everyone has their own goal and is trying to get a lay of the land and figure out how to achieve what they came for. “The energy is at a fever pitch. There are many first-timers, but everyone is wound up and distracted,” she explained. Showing the ability to be cooperative right from the start by being prepared can greatly increase the chances of being heard, and, read. Having those business cards, a well organized proposal that does not weigh a ton and follows standard guidelines are, of course, critical. “No plastic bags,” added Gibson, when talking about the value of carrying writing samples and other essentials in a leather or some other professional looking briefcase. Also important is the ability to be concise and courteous. Getting published is a long process and being able to demonstrate you can work as team player is as important as the ability to write. She also noted the importance of getting published by writing columns for local papers. “It shows you are worthy of publication and demonstrates expertise,” she explained. Entering contests at conferences, through literary guides, and via writing groups, are other ways to build a writing career and work toward getting recognized and published. Her recommended books for writers are The Literary Market Place and The Guide to Literary Agents. Recommended conferences are the Southern California Writers Conference (in San Diego in February), the San Francisco Writers Conference (in San Francisco in February), the UCLA Writers Studio (in Los Angeles in February, and with a focus on screenwriting).